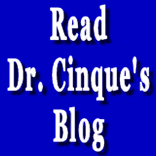 This article is by Christine Savich first appeared on Natural Society. The bottom line for me is that the vast majority of pharmaceutical drugs are entirely disruptive and destructive in their effects and should not be taken- not by anybody who is pursuing health. Metformin for diabetes, which is based on a natural herbal substance, is an exception. While Americans comprise only 5 percent of the world population, we consume an incredible 50 percent of Big Pharma’s drugs, as explained in Jeff Hays’ documentary film, Doctored. Make no mistake. These drugs are meant to keep us imprisoned in poor health, not heal us. It’s time to kick the drug habit America. Tell the drug pushers – Merck, Pfizer, Novartis, Roche, GlaxoSmith Kline, Abbott, Astra-Zeneca, Amgen, Eli Lilly, Bristol-Myers Squibb, and Sanofi (along with the FDA and CDC) that you are going cold turkey, and learn what true health really means. Sadly, Americans are more familiar with names like Abilify, Nexium, Humira, Plavix, Crestor, Advair Diskus, Enbrel, and Cymbalta, the top selling drugs of Big Pharma, than names like Aloe barbadensis, Curcuma longa, Allium sativum, Moringa oleifera, Vitis vinifera L, all indigenous plants that have healed millions around the world. You’ve likely heard the phrase before – just a dozen huge corporations are keeping Americans popping pills while they rake in billions, but have you really thought of what these numbers translate into, in terms of real health? Annual sales for just one drug, Humira, was $9.3 billion. That puts Abott squarely at the top of the list as one of the most successful drug companies of all time. One drug. One year. $9.3 billion. This particular drug is meant to inhibit cancerous tumor growth, but there are dozens of natural remedies for the same purpose. Consider: turmeric, papaya leaf, grape seed extract, ginger, cannabis, and a host of other inexpensive plants can treat cancer. Here are 4 cancer fighting foods. Cost – around $3 per day per item. Getting out in nature heals tremendously. What if that $9.3 billion were used to create more green spaces, to keep more natural forests, and to install community good health gardens in every city? What if that $9.3 billion were used to clean up the environmental messes from fracking, oil drilling, oil spills, mining, nuclear meltdowns, chemtrails, pesticide and herbicide spraying, chemical dumping, and more, that cause cancer to begin with? What if we hired comedians to visit patients with cancer, using the proven technique of laughter therapy to treat many diseases, cancer among them? Our money and our health is wasted on these companies, but we have to unplug from the drugs. We are overworked, under-nourished, over-fed, and lied to. You don’t need another pill. What really needs to pop is the illusory bubble that Big Pharma is the answer.